Secret societies must become more open and inclusive. The trouble at Dartmouth is that it is easier to march against the overt policies of President Donald Trump than it is to resist the implicit biases that exist on campus. If Trump’s Twitter tirades are likened to large axe swings aimed at Muslim Americans — dangerous, certainly, but already occuring — then Dartmouth’s insidious institutions seek to weaken minority groups on campus with a thousand small, swift and silent cuts. 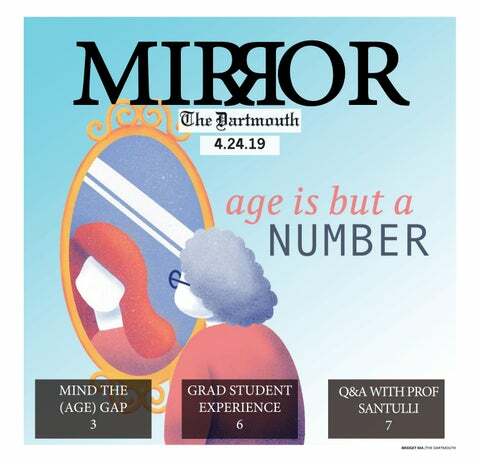 The tragedy is that these institutions of Dartmouth’s underbelly are not just kept alive by the College’s administration. There is much to be said about the vagueness of sexual assault policies on campus and the fact that we admit more students from the top 1 percent than the bottom 60 percent. But during my four years in Hanover, the deepest cuts came from fellow students. They came from fraternities that did not do more when their brothers were accused of sexual assault and sororities who refused to detach themselves from national organizations stuck in the past. They came from white student leaders who did not engage with the Dartmouth Black Lives Matter movement until they had reason to criticize it. Granted, all of these issues are more complex and nuanced when you dig beneath the surface. It’s hard not to give friends the benefit of the doubt — and sorority localization is costly, complicated and long. But we cannot claim to fight against homophobia, racism and sexism if we only do so when it is convenient. Now, sure, are any of the cuts from these institutions lethal? No. In fact, examining how furious people become over “microaggressions” can seem comical — the word itself is oxymoronic — until you see students breaking mentally and emotionally after they’ve sustained one too many cuts from our toxic institutions. After that point, they can never go back, never return to being just students who are at Dartmouth to learn and explore their passions. And that is the great tragedy of our college. So what is to be done? I vote to always begin with the low hanging fruit: in the coming weeks, juniors at Dartmouth will begin to be inducted into secret societies. These societies make up the most insidious student-run institution at Dartmouth. This is not because the people in them are ill-willed, but because the institution itself serves to put up barriers among students and remind marginalized students of their outsider status. In having not just their membership but even their selection process hidden in shadows, secret societies create a level of social exclusion that even Greek organizations cannot rival. While all Dartmouth students have the ability to try to join a Greek house, by only “tapping” certain students based on a hidden set of criteria, these secret societies are not accessible to everyone. Furthermore, in revealing their secret associations during Commencement, these organizations remind the unaffiliated students that while every student is graduating on that day, some students belonged more than others. We worry about Trump using our hallowed democratic institutions to turn America into a country welcoming only to some, but on campus our peers continue to run societies that create an inner Dartmouth community only open to the select few. Now, maybe some of these organizations do consider everyone and select on legitimate criteria. Maybe others are just a group of friends simply getting together every week to hang out. But then, why is there a need to cultify the association? Why be secret? Why carry canes at graduation? Certainly these elements might serve to strengthen both the fun and camaraderie of the societies, but at whose expense? In deriving their value from exclusivity, these societies serve to put down the peers they do not accept. The harm caused by traditions like the graduation canes is probably not immense. On graduation day, it may be that most non-society students see the canes, grimace briefly and try to move on. Perhaps only a few spend the first half of the ceremony wondering why their friends hadn’t asked them to join or struggle to explain after why they don’t have one to their mom or younger sibling. But no outsider can view the symbols of their exclusion well. At best, they can try to be apathetic about them. Even this, though, can be hard. Imagine an admissions letter explaining that you are admitted to 98 percent of Dartmouth. When you get to campus, however, you find that some students were given access to 100 percent. Even if you never, in your four years, would have taken advantage of that 2 percent, would it not bother you that only you, or students like you, were not given access to it? So to the rising classes of Dartmouth — to those of you who have or will have the privilege of being tapped — I ask that you refuse to join such organizations until they come out of the shadows. To those currently in secret societies, I ask that you take the bold and uncomfortable step of requesting your organization become more open and transparent. All I can offer is the voice of a distant outsider who didn’t speak up when he had the chance and ask others to be better. You do have the power. And the voice of an insider can be many times louder if you choose to use it.